Years ago my Dad and his girlfriend hosted a Thanksgiving dinner for their friends in June and it was really a great time. 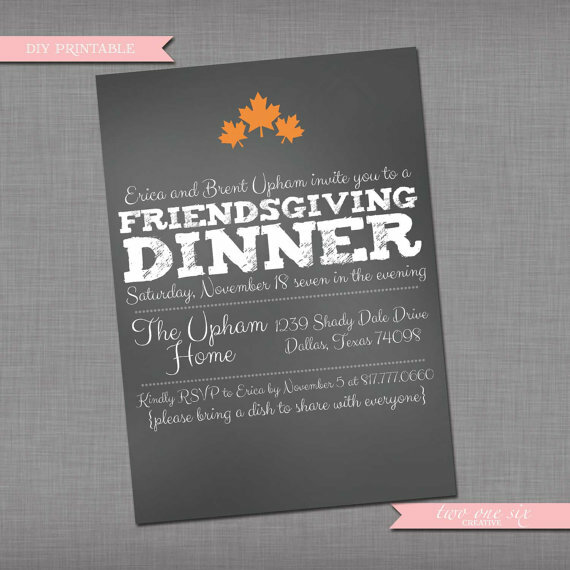 I always remembered that special event and longed to host my own mid year Thanksgiving soiree. 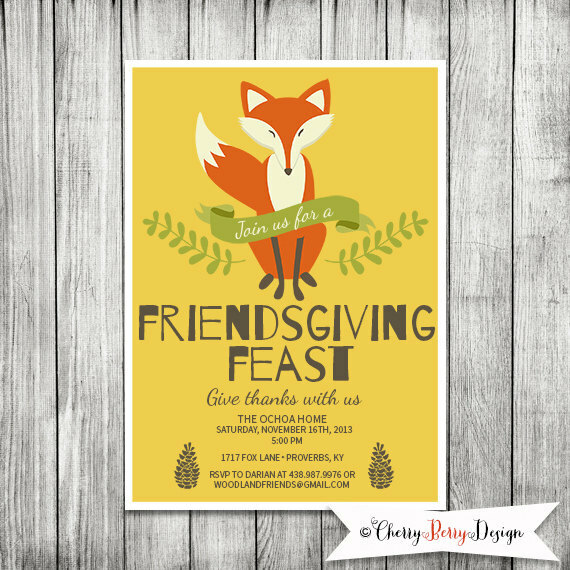 Flash forward 10 years and throwing a “Friendsgiving” party is all the rage. I’ve been thinking about it all summer but it’s just been too hot to plan any kind of meal that requires a hot stove and oven. Finally the temperature has dropped and I’m on board! This weekend I was inspired to pick a date and start planning. My hubby was hesitant about diluting the traditional meal we look forward to all year with our family, so I decided to make our friend get-together a brunch instead. I’m excited to plan the menu and will have fun incorporating some of the traditional dishes into brunch options. 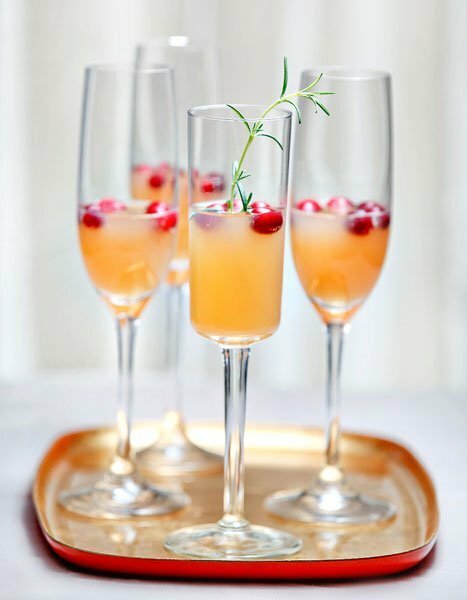 I do know there will be cranberry mimosas! 29 Sep	This entry was published on September 29, 2014 at 8:00 am. 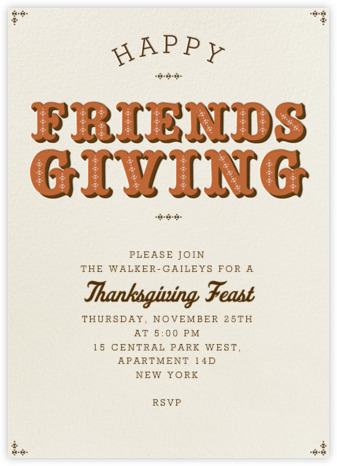 It’s filed under General Fun and tagged Friendsgiving Invites. Bookmark the permalink. Follow any comments here with the RSS feed for this post. Thanks for remembering it as a special event.